Sweetest Day this year is on Saturday, October 19th. This day gives you an opportunity to recognize that sweet and special someone in your life. Unlike Valentines it doesn’t have to just be someone you are in a relationship with, but anyone who is special in your life, whether it be a family member, a best friend, or a girlfriend. It should be someone who stands out as sweet in order to get some recognition on this special day. Sweetest Day came to be when the founders recognized how life has became so busy for everyone and people were forgetting to take a moment just to enjoy the finer things in life. On this special day take some time to spread some sweet cheer to those you love. Whether it be with a present, a smile, or just some sweet words to brighten anyone’s day. Here are some loving personalized gift ideas for this special Saturday. 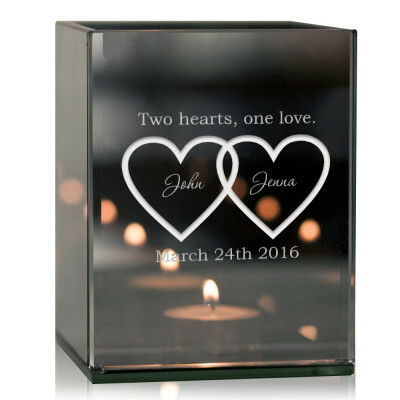 What’s more romantic than some candles and a personalized candle holder? The candles will burn as a flame of your love for one another. Personalize it with a sweet note as an appreciation for this person in your life. For a gift that you can never go wrong with, try some flowers. Flowers are sure to bring a smile, some joy, and brighten anyone’s day. Take one flower from that beautiful bouquet and make it stand out in a personalized bud vase that will always remind that sweetie in your life of this extraordinary day. They say that diamonds are a girl’s best friend and now she can keep those stunning diamonds in an exceptionally lovely jewelry box. 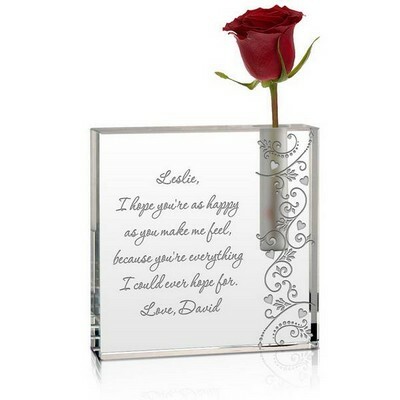 A personalized jewelry box will constantly remind her of how much you care for her every time that she opens it to put on her jewelry for that day. Whether you get your sweetie a special gift, or just send that person some sweet words, don’t forget to make this Saturday the Sweetest Day of the Year.